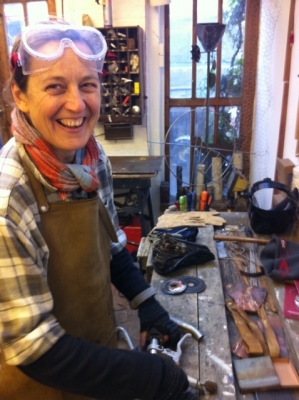 I have been making sculpture in my workshop on Eel Pie Island since 2008. I exhibit and sell my work through the Artists' Open Studio events that we have on the Island twice a year. I have undertaken commissioned work and also teach people in woodworking, metal fabrication, welding and casting, according to their interest and regardless of their perceived skill level. 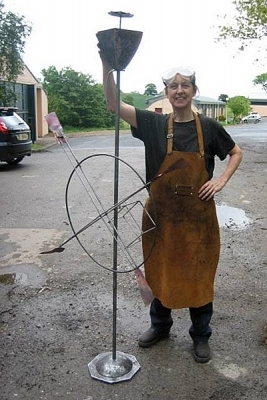 I was aged 17 when I discovered my interest and propensity for sculpture. I developed this interest initially through technical training - as a City & Guilds cabinetmaker. Over the years, however, I have developed further skills in boat building, metalworking, welding, mould making, resin and bronze casting. I rely on the skills and knowledge of craft that my guild training taught me, though often reject its disciplines for the freedom that sculpture affords the artist. My artistic philosophy is about responsiveness – to materials, to form and to construction, to the natural world and to an exploration of human nature.